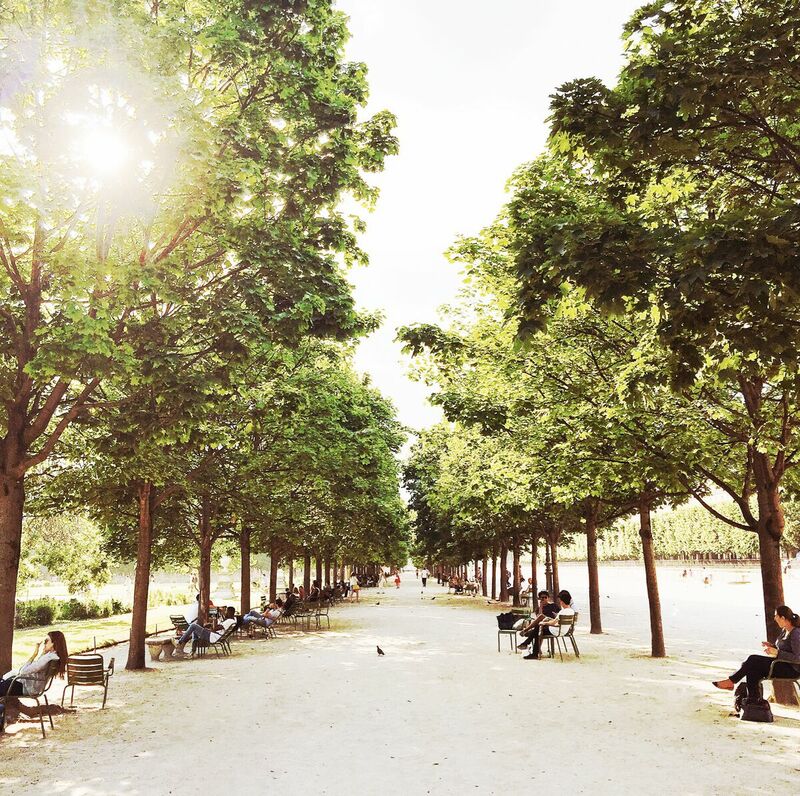 It usually takes several days to one weekend to fully embrace Paris’s most beautiful areas. 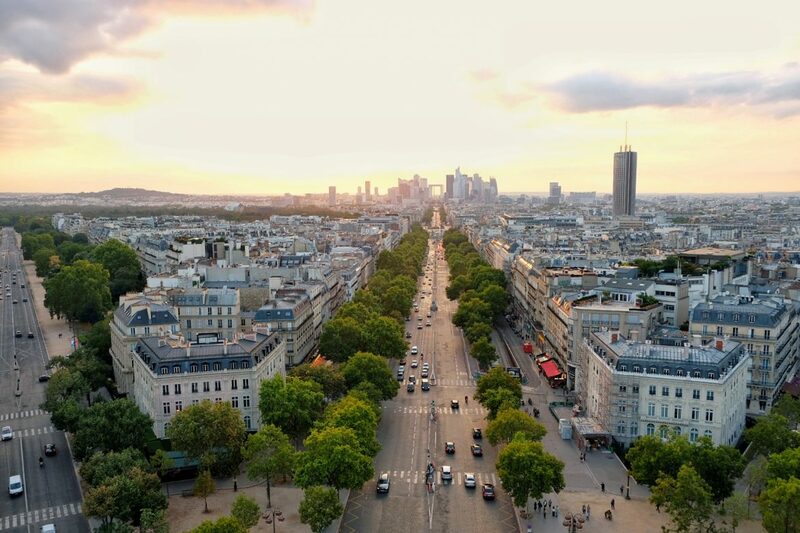 But what if you have only a short stay in Paris like a business-trip or a stopover and you want to superfast embrace the very best of Paris’s history, culture, architecture, lifestyle and food. Yes its possible! 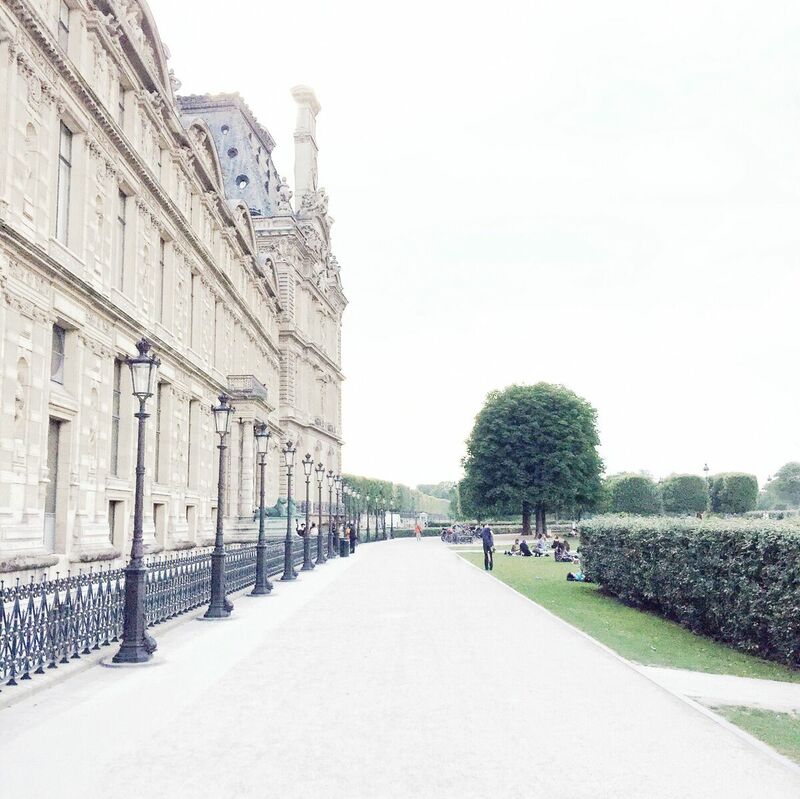 I have asked Parisienne Catherine who runs a beautiful Blog about Paris for her insights. 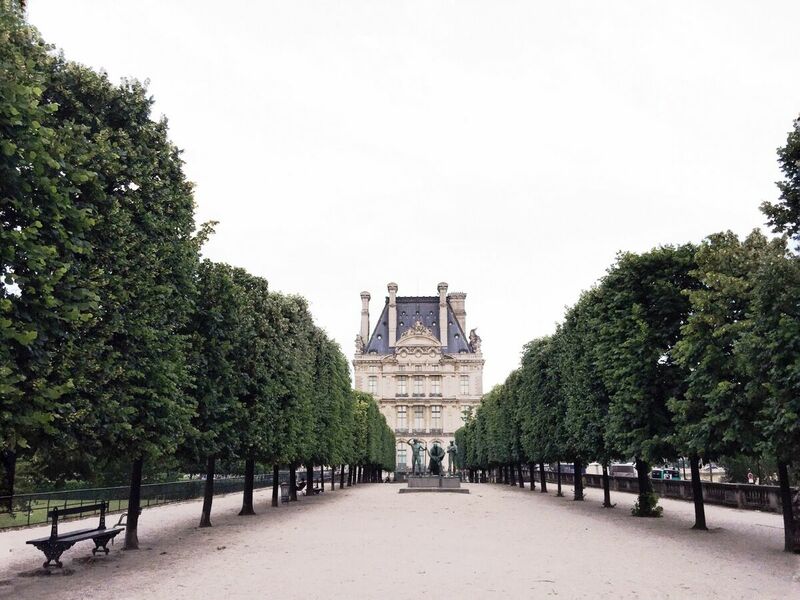 Here are the Best things to discover in Paris within only 4 hours. 1- Place de l’Etoile with the Arc de Triomphe achieved in 1836 and that celebrates the military victories of French Emperor Napoleon 1st (not included in the 4 hours, you can climb up and enjoy the view over Paris on the East and over La Defense, the business Parisian center, on the West). 3- Take the subway at George V station down to station “Concorde” (3 stations line 1 direction “Chateau de Vincennes”). With the Arc de Triomphe behind you, enjoy the view over the beautiful Madeleine church on your left and the Assemblée nationale (lower chamber of Parliament) on your right on the other side of the Seine river. 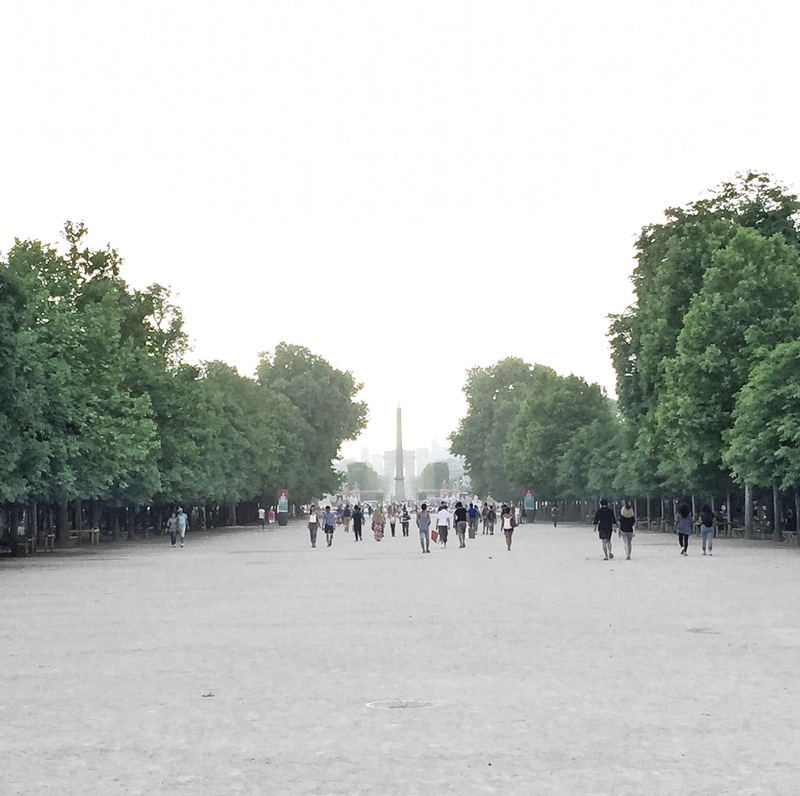 4- Little walk in the Tuileries gardens in direction of the Louvre (not included in the 4 hours). Pass by the beautiful the Jeu de Paume and Orangerie buildings (both lovely museums, not included) when you enter the gardens, the pools, notice the iconic green chairs, cross the “Arc de triomphe du Carrousel” (also deals with some Napoleon military victories) and reach the Louvre with the “Pyramide”. 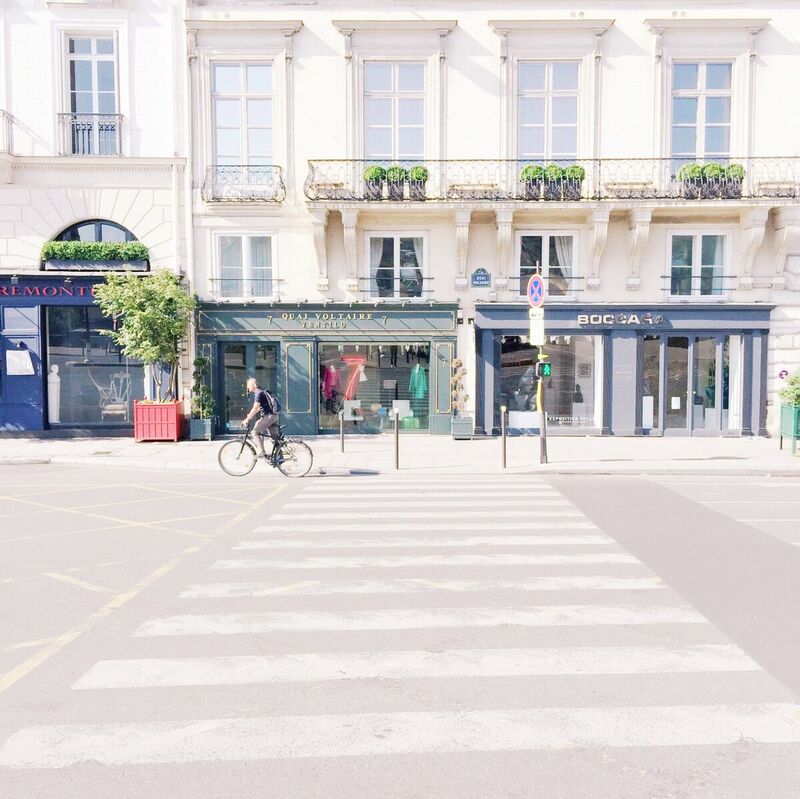 Around you, enjoy all the beautiful frontages that run from François 1st around 1546 to Napoleon 3rd around 1870 and are all considered master pieces of their times. 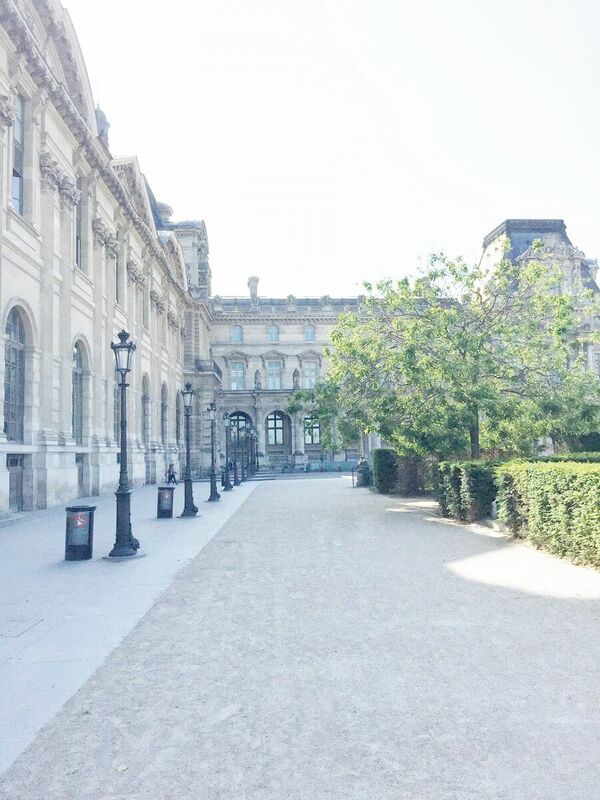 Then head to the “Cour carrée”. 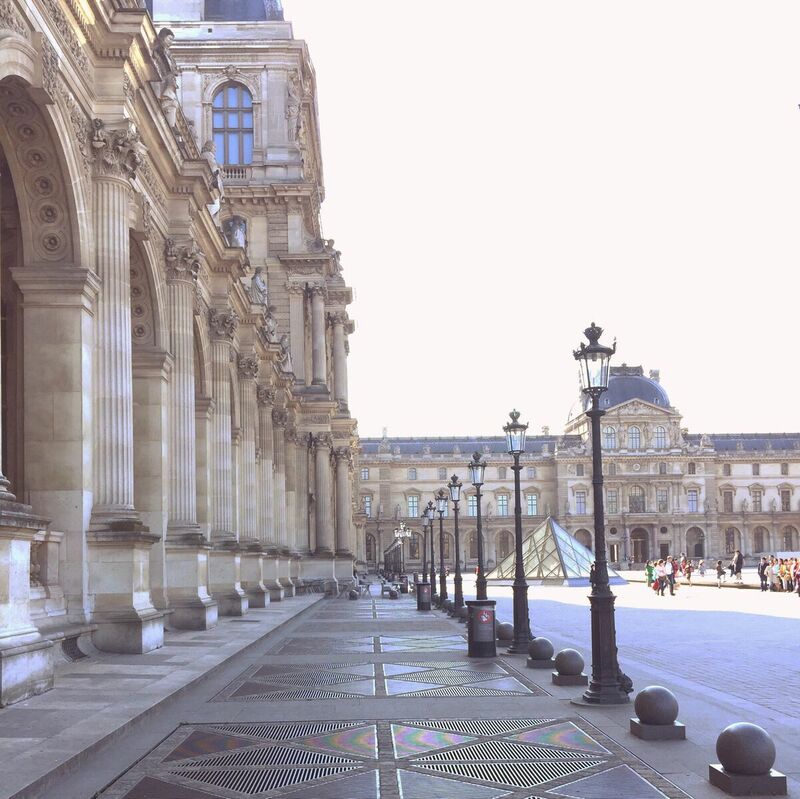 5- Exit straight ahead on the East side on the “rue de l’Amiral de Coligny”, the Louvre is in your back with the amazing « colonnade du Louvre » (the frontage that closes the East side of the Cour carrée and considered a master piece of French classicism, achieved in 1670). On the other side of the street, the beautiful frontage of both the Saint Germain l’Auxerrois church (the parish of French kings when they lived in the Louvre) and the 1st “arrondissement” city hall (they look like they are the same building). 6- Take the subway at “Louvre Rivoli” station to station “Saint Paul” (3 stations line 1 direction “Chateau de Vincennes”). You are now in the heart of Le Marais. Looking to the East, the “Saint Pierre Saint Paul” church is close somewhere on your right. 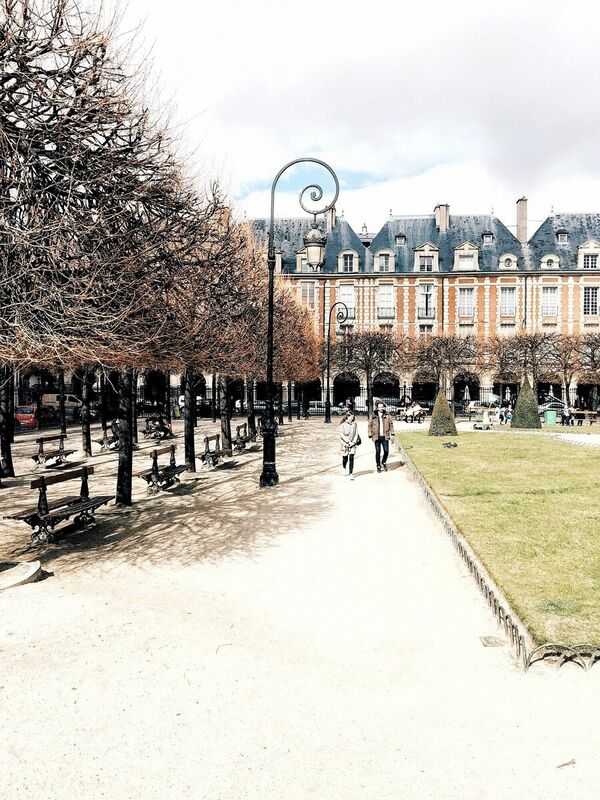 Walk straight ahead in that direction until you cross the “rue de Turenne” on your left which you take to the North and you then turn right in the “rue des Francs Bourgeois” to reach the amazing “Place des Vosges”. 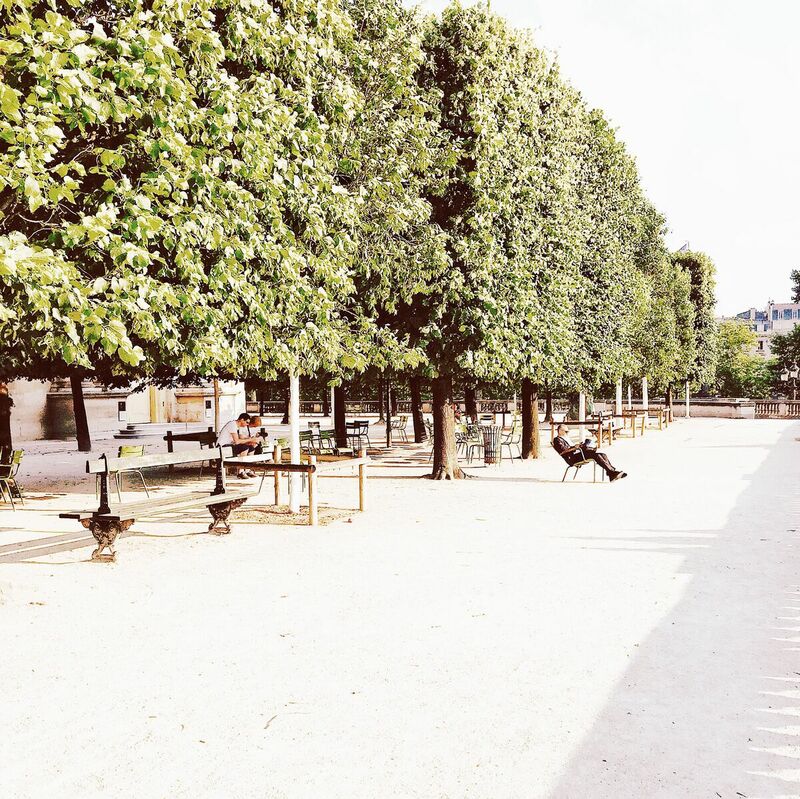 7- Take some time to enjoy this royal square built achieved in 1612 and dedicated to Louis XIII (his statue stands in the middle of the garden) with its beautiful arcades all around and the garden in the middle. 8- It may be time for a little typically Parisian Tea-time at the beautiful Carette (North West face of the square under the arcades, great place for everything from brunch to macarons and lots of decadent pastries of course). 9- In the South West corner of the square, under the arcades, find the entrance to the Hôtel de Sully (a small museum). 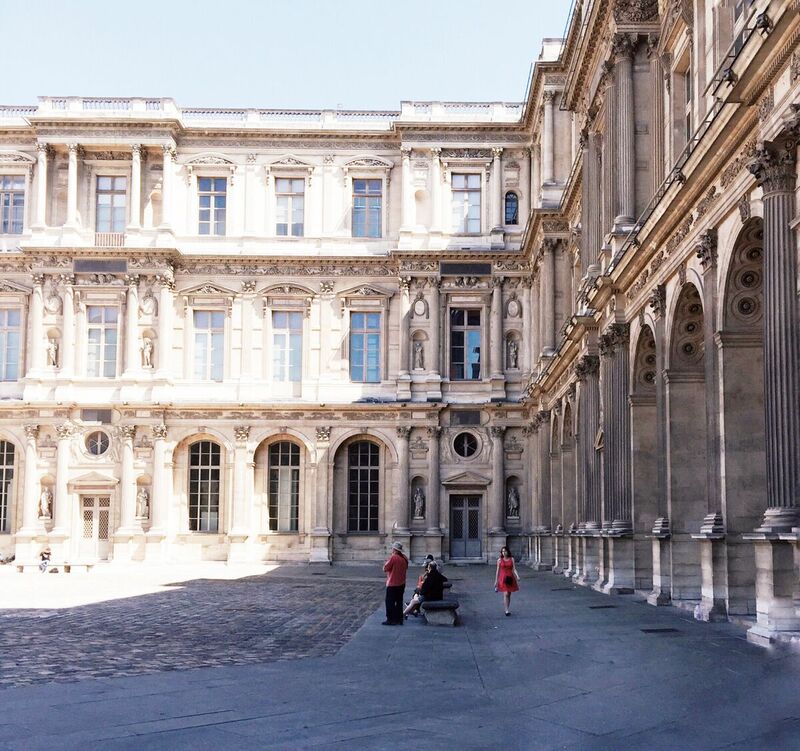 You can pass by two lovely courtyards and exit back on the “rue Saint Antoine”. 10- Turn left and walk straight to the “Place de la Bastille” with the July column in the middle and the statue of the “Spirit of Freedom ”, that celebrates what animated the Parisian people when they decided to fight for their freedom in the 1830 revolution, on top of it. This circus is where stood the famous “Bastille fortress” that was stormed on July 14th 1789 which started the French revolution and was then destroyed. In the South East of the circus you can also see the other Parisian Opera house built at the end of the 20th century by President François Mitterrand. Great post, Greg! Paris is beautiful ? Thanks so much! Yes pure magic! Have a wonderful day!